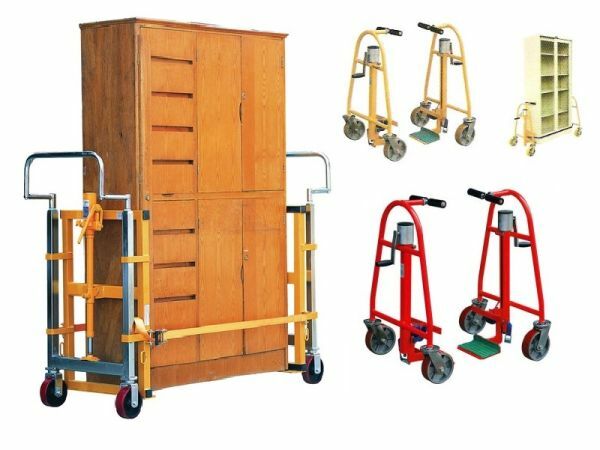 We have two models of Industrial Crate and Furniture Movers and both have Polyurethane wheels and are supplied as two units with a 5 metre long securing load strap. Safely operated by one person the robust lifting mechanism has been designed for use with heavy and bulky items and is ideal for removal, maintenance and installation applications. All of the above qualities and with a Manual lift using spindle winch with safety stop. Safely operated by one person. 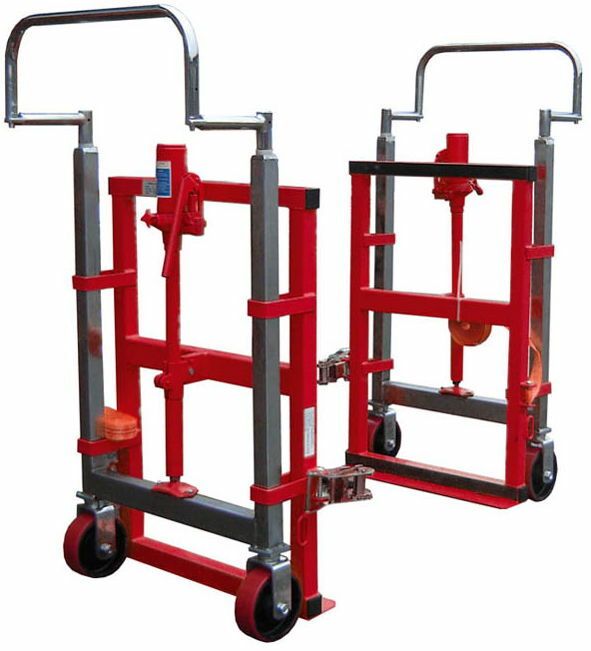 Robust lifting mechanism for handling bulky and heavyweight items. Ideal for removal, maintenance, installation applications. Each set includes 2 transport units with build-in securing straps, length 5 metres. Safety spindle winch with safety auto stop system to prevent uncontrolled lowering. Operation: Position lifting plates underneath to be moved item. Adjust upper support rail and tighten securing straps. Lift item from both sides to equal height and move. Technical specification: powder coated finish. Lifting plates with non-slip covering. Upper and lower support rails with protective covering. Winch with crank handle and gear mechanism. 4 swivel castors with roller bearings. Non-marking poly wheels suitable for carpeted flooring. All of the above qualities and with a Hydraulic lifting mechanism and Steering handles for direct control. For professional transport heavyweight items. Ideal for removal, maintenance, installation applications. Each set includes 2 transport units with build-in securing straps, length 5 metres. Technical specification: Powder coated finish. Support rails with protective cover. Heavy duty wheels with ball bearings. 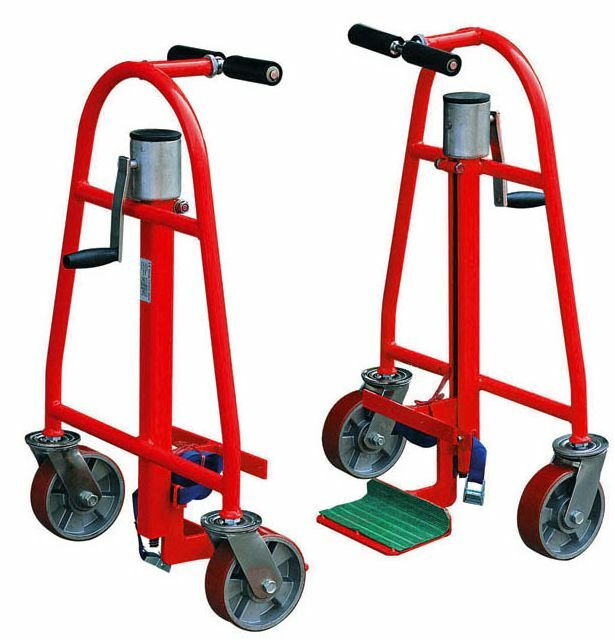 Non-marking polyurethane wheels suitable for carpeted flooring.